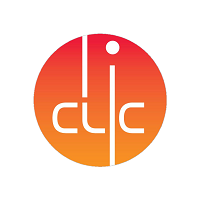 The CLIC workshop 2016 covers Accelerator as well as the Detector and Physics studies, with its present status and programme for the coming years. For the Accelerator studies, the workshop spans over 5 days: 18th -22nd of January. For CLICdp, the workshop is scheduled from Tuesday afternoon January 19th to lunchtime on Friday 22nd. 1- An open plenary session on Wednesday afternoon January 20th, giving an overview of the CLIC project (accelerator, physics/detector), placed in the context of LHC results. This session also addresses the use of CLIC-related developments in other applications. 2- A common plenary accelerator/detector&physics session on Friday morning January 22nd. 2- A session on Thursday covering High-Efficiency RF Power sources developments for CLIC and for other accelerator applications like ESS, FCC and other high-power electron and proton linacs.